I’ve always thought of sprites as spirited, slightly mischievous, creatures. 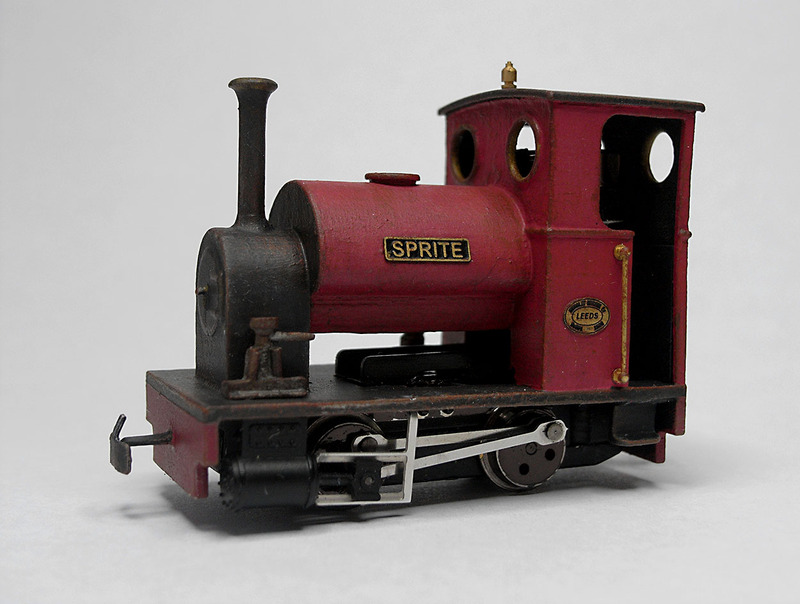 Sprite earned her name because she was a mischievous loco to build. I managed to break the body in several places while I was making this model. Plus, in a session of late night modelling, I added handrails to the sides of the cab – something that Quarry Hunslets never had. Oops. (Let’s imagine they were retrofitted!). Sprite’s a J L Design body, fitted to a Minitrains Stainz chassis, with Narrow Planet name plates. The red livery is Citadel Mephison Red, mixed with a little Ulthuan Grey to give the red an ‘aged’ look. She’s a nice little runner. I almost gave up while building her. I’m pleased I didn’t. PS. I wrote this comment earlier but it disappeared. Sorry if it pops up twice.